INSTITUTE FOR SOLID WASTE RESEARCH AND ECOLOGICAL BALANCE is located in Visakhapatnam Andhra Pradesh . INSTITUTE FOR SOLID WASTE RESEARCH AND ECOLOGICAL BALANCE is registered as a Society at Visakhapatnam of state Andhra Pradesh with Ngo unique registration ID 'AP/2009/0012476' . 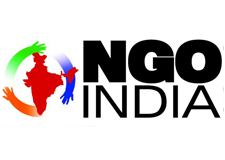 The NGO registration is done by Registrar of Societies with registration number 153 on the date of 17-12-1992, Its parent ORganaisation is PaulFoundation. The Chairman of INSTITUTE FOR SOLID WASTE RESEARCH AND ECOLOGICAL BALANCE is Dr C N Rao IFS Retd and Chief functionary officer is Dr N Bhanumathidas. Promoters are Prof V Bangareswara Sarma, Prof P Veerabhadra Rao, Prof C Ayyanna,Er V Hanumantha Rao. The unique scientific organisation working in the field of Industrial solid waste utilisation towards conservation of minerals, fuel, energy and abatement of pollution, green houses gases. FaL-G technology, developed and patented by the founder directors of the institute, is the phenominal success at national level. Also working in the field of global warming; bundled over 124 small scale units, offering these carbon credits to the World Bank and distributing the same to SSI units.